We created a Shared VR cycling experience as part of a UK-wide programme of Sky Ride events to promote British cycling. 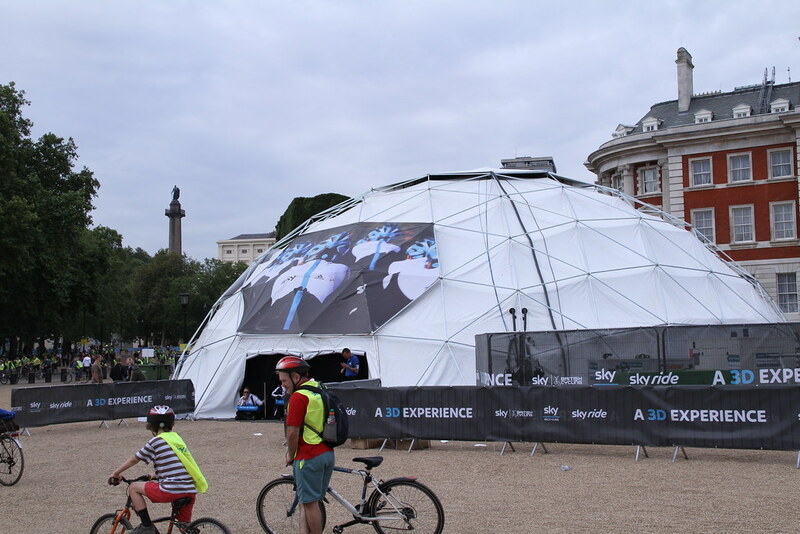 Two Igloos were used by Sky as entertainment spaces at the Sky Ride cycling events. A 21-metre dome was erected in London on Horse Guards’ Parade and, one week later, a 12.5-metre dome was placed in Cannon Hill Park Birmingham. The content was produced in-house by Sky, using high-definition 3D film to give the audience a truly immersive 360° experience.